It is somewhat tedious to close a terminal window shell manually after the shell exit. 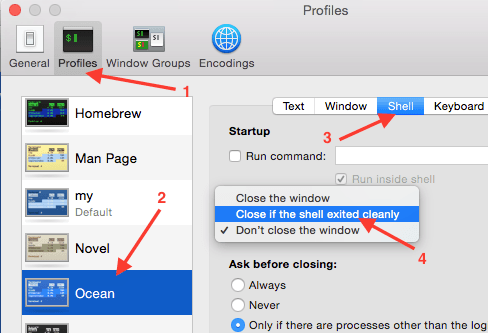 By default Mac terminal does not close the shell on exit. Here is how a shell looks like if you exit using CTR-D.
Now when you exit a shell using CTR-D, the shell will close automatically.